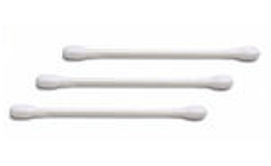 IInterhearing are the first to offer ear wax removal by microsuction in the community of Shropshire and West Midlands. Now we have expanded our clinics. We have local clinics where we offer this service – Shrewsbury, Telford, Wolverhampton and Warrington. Micro-suction earwax removal is the safest and most comfortable method of earwax removal available – no fuss, no mess, no ear drops, just instant relief from the inconvenience and discomfort of blocked ears. Why is earwax a problem? Whilst syringing is a common method of ear wax removal and successful for many, it can be associated with side effects such as discomfort or pain during the procedure, vertigo, ear infections or damage to the skin of the ear canal. Other possible adverse effects include tympanic membrane perforation and Otitis Externa in some patients.